1ST. The LC4 history was originally commissioned in 1928 for the furnishing of a villa in a suburb of Paris, France. The LC4 Chaise Lounge, AKA the "relaxing machine," is a lounge that mirrors the body's natural curves while appearing to float above its supports. 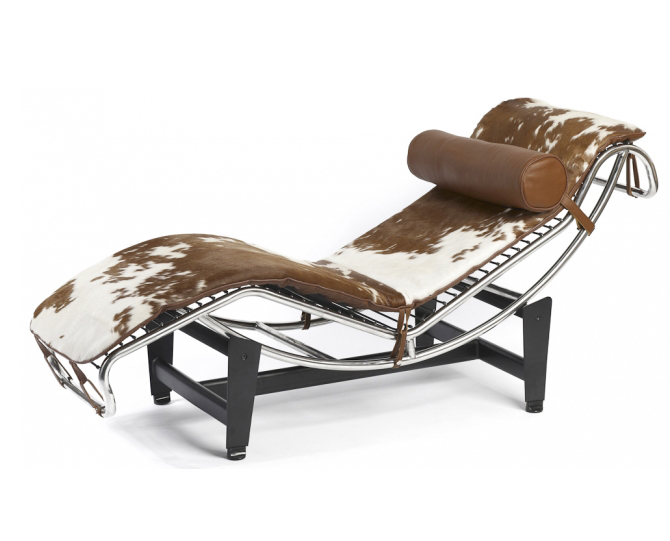 The frame easily positions on the base using gravity and the users own weight to create various reclining positions. 2ND. 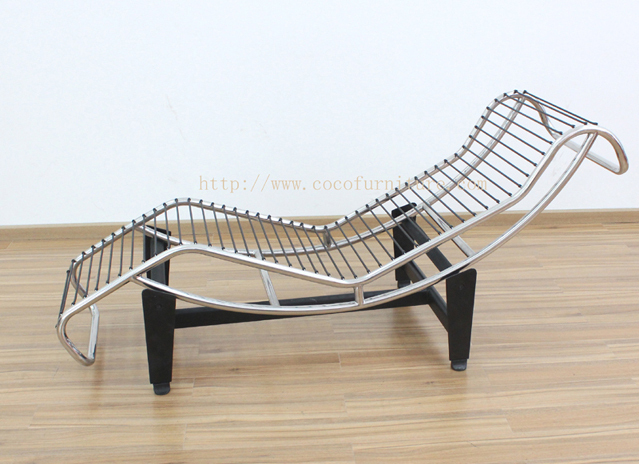 As a "relaxing machine, "the Chaise Lounge Chair is a lounge chair that mirrors the body's natural curves while appearing to float above its supports. 3RD. Italian leather cushion with fabric leather upholstered. 4TH. Color is available in red ,white and black. Other colors will require quantity. 5TH. 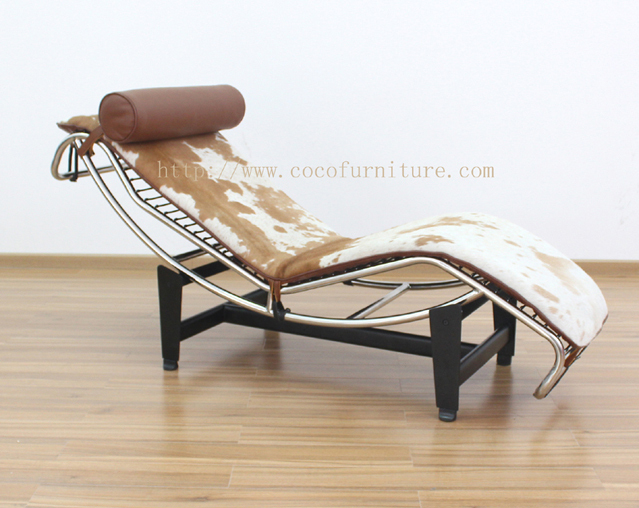 Polished stainless steel tubular frame, black lacquered steel base. The move able frame adjusts along the base from upright to full recline with ease. 6TH. 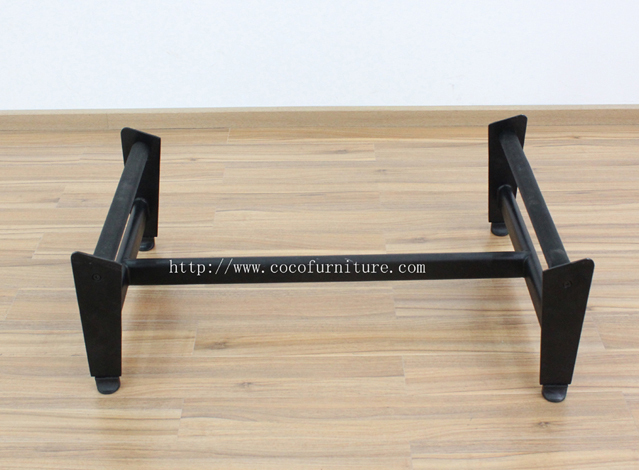 Black Powder Coated steel base for chip resistance. 7TH. Comes complete with floor protectors. 8TH. Upholstered in Full Grain Aniline Italian leather. 9TH. Form fitting CA-117 high density foam cushion. 11TH. Matching Full Grain Aniline Italian leather zippered headrest. 12TH. 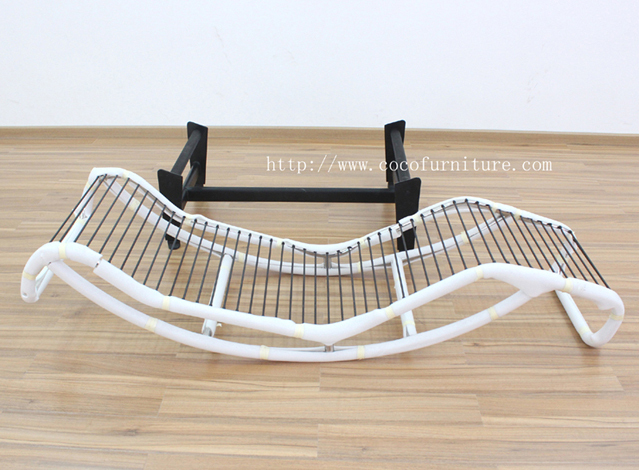 Steel triple chrome plated frame for chip and flake resistance. 13TH. Full Grain Aniline leather piping. 14TH. Elastic under-cushion supporting straps for added comfort. 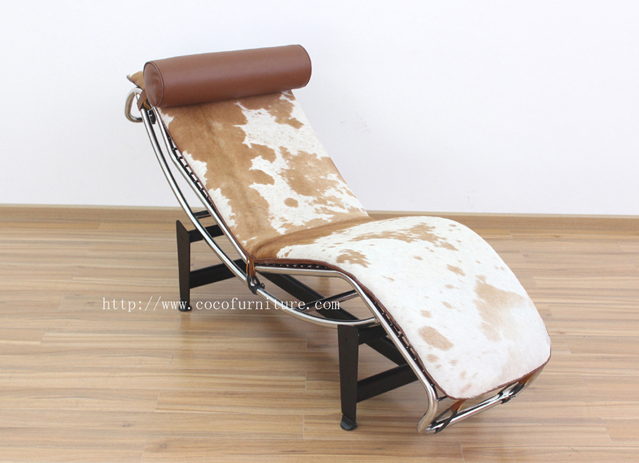 Copyright © 2004-2017 cocofurniture.com | House Kingdom Furniture Co., Ltd. All Rights Reserved.